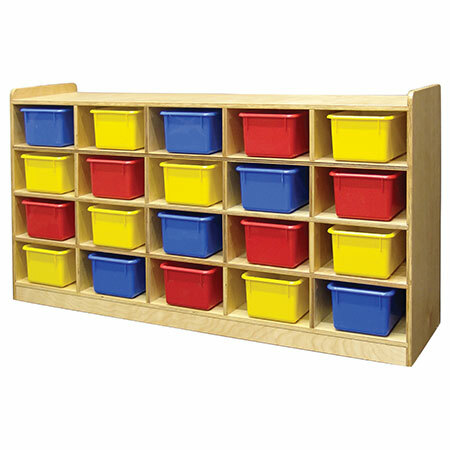 [XPB-CSC20XT] Our 20 Cubbies Storage Cabinet is fabricated in birch plywood construction with UV clearcoat finish. The cubbie openings measure 13"L x 10"W x 5" H. The unit size is 57"W x 14"D x 29"H. Available with optional casters- 1 set required with no assembly needed. For shipping quotes, orders or questions please call our Customer Service Center at 1-877-483-9270.